There is a long history of art and science looking for each other. As Leonardo da Vinci said: “to develop a complete mind, study the science of art, study the art of science. Learn how to see. Realize that everything connects to everything else”. In 2008, in the University of Yale, a new interdisciplinary program was created in the computer science department in which during a whole year students had to follow one of Yale’s art disciplines, integrating, thus, theatre, music, the history of art, and architecture with computer vision. Neuroscience and arts have also met together in music, in cases where musicians get inspired by the emotions of the audience and generate music (see our Brain Polyphony concert), or in cases in which their own emotions are transformed into music (e.g., Sonar festival). Professor Semir Zeki, chair in neuroaesthetics at University College London carried out a study to explore brain correlates when people were experiencing beautiful paintings. The study concludes that beautiful works of art can give us such joy as when we are looking at someone we love! This process involves an increase in the blood flow in the medial orbitofrontal cortex, which is related to pleasure and desire, as well as to consciousness (e.g., Liu et. al., 2017). In general, it is believed that art elevates consciousness because it influences the way we think and challenges our current view-point. In a recent event we organised on consciousness, within our project Luminous (stay tuned another blog post will come soon), we concluded that to properly define consciousness one should consider aspects such as self-awareness, subjective experience, intelligence and emotions, all of which are typically induced and challenged with art. And what about other artistic disciplines? Can theatre collaborate with science and under which form such collaboration can take place? Starlab and Neuroelectrics participated in an integration act of theatre and science through a collaboration with La Fura Dels Baus which is a Catalan theatrical company, founded in 1979, known for their creative settings, interaction between audience and actors, and playing with strong emotional reactions through fun, danger, disgust, mental reflections and fantasy. In December 2018, La Fura Dels Baus inaugurated the Épica Foundation, born to create a multidisciplinary environment that brings together arts, humanities, science and technology. Making these worlds collaborate is something that was already thought by our ancestors, when astronomers, mathematicians, painters, writers and scientists were meeting together to challenge one another and evolve. These disciplines, although seemingly different, they are somehow complementary. In arts, an artist may express him/herself in a totally free manner and a spectator may experience powerful emotional reactions of any kind through this art. Through humanities the spectators’ emotional reactions and the artists’ way of expressing oneself can be studied in terms of previous and current personal or social behavioural constructs, as well as analysed to extract conclusions about previous and current psychological/sociological profiles and unconscious patterns. Through science such behaviours and emotional activations are expressed in terms of changes in the physiological signals. Using information from such signals one may objectively quantify the emotions felt during each moment of experiencing the art. And this is our role in this multidisciplinary collaboration: to capture in a subtle way the emotions of some spectators while they were experiencing a powerful performance of La Fura Dels Baus. 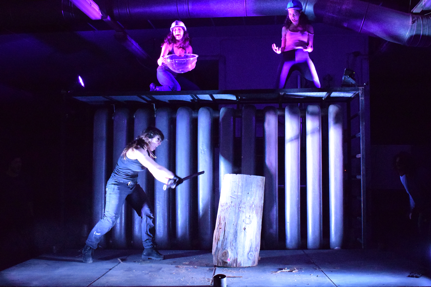 The impact of this particular performance has been even greater than being to a regular theatre, as the actors were interacting with the audience provoking strong emotional reactions. We, thus, brought in this collaboration the science and technological point of view in the arts field. 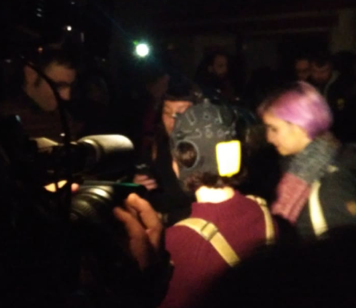 We placed three Enobio devices on three volunteers, and by realizing the recordings directly in the SD cards, we let them experience the whole performance wearing our devices in a completely wireless manner, making possible to combine neuroscience and arts “out of the lab”, in a natural setting. 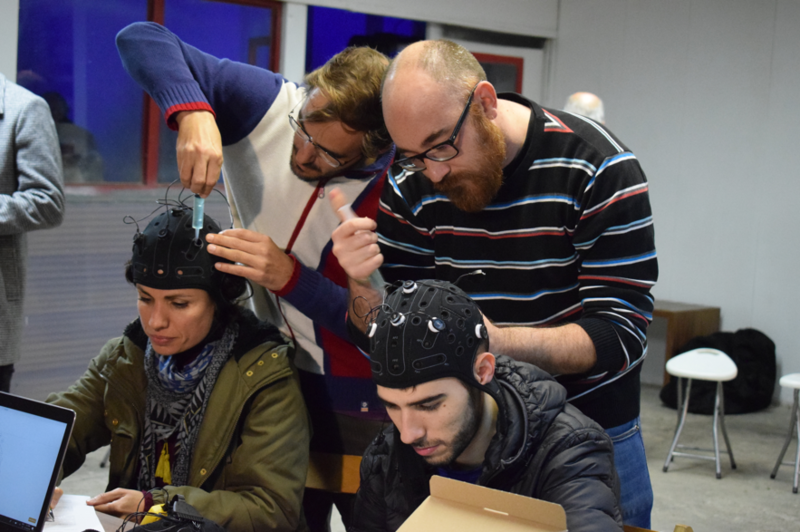 We recorded the brain signals (EEG) and the heart rate (ECG), and together with a GoPro to monitor the events, we have all the information we need to process the signals and extract information about the emotions experienced during this act. Measuring the emotions in a real-life interactive theatre setting is, thus, nowadays possible! 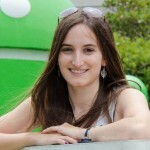 This entry was posted in Biometry, EEG and tagged Arts, ECG, eeg, Go Pro, La Fura Dels Baus.